Most guitar nuts are familiar with the story of the Les Paul Standard in the '50s. From its premier in 1952 until it was replaced by the SG design at the end of 1960, the Les Paul evolved with an incredible series of innovations, reaching a peak between 1957 and 1959. Once the SG took over, the Les Paul as we know it stayed out of production until 1968 when Gibson started to resurrect the model. Like Fender and the CBS buyout, Gibson underwent a series of management changes in this era resulting in what's now referred to as the Norlin Era. Quality began to diminish, hitting a low-point when production began to shift from Kalamazoo to Nashville starting in 1974. For this reason, Les Pauls from the decade that saw the rise of Jimmy Page, Alex Lifeson, Joe Perry and other Les Paul icons are usually considered inferior to those from other eras in Gibson's history. For collectors, the earlier the better is the general rule when thinking about this period of production. A Les Paul Custom from 1969, for example, is considered more true to the original '50s model than one from 1975. There are, of course, exceptions to every rule, and plenty of great Les Pauls came off the Gibson line throughout this entire timeframe. Below are some of the Les Pauls that were produced in the first wave after the model was was reintroduced in the late '60s and early '70s. The Les Paul Custom was the original Les Paul variation produced by Gibson in the '50s. When the model was reintroduced in 1968, construction was actually relatively similar to how it had been previously. In 1969, however, Gibson introduced a four-ply body construction style with two plies of Mahogany, a thin ply of Maple and a Maple top. This "Pancake" style body as it has since been termed is considered a prime example of the changing quality of Gibson guitars in the '70s and would last until 1977. Also in this era, Gibson starting producing the Custom in new finishes including the Cherry Sunburst seen above. Learn more about the Les Paul Custom here. Starting in 1969, Gibson's main production Les Paul was dubbed the Les Paul Deluxe. 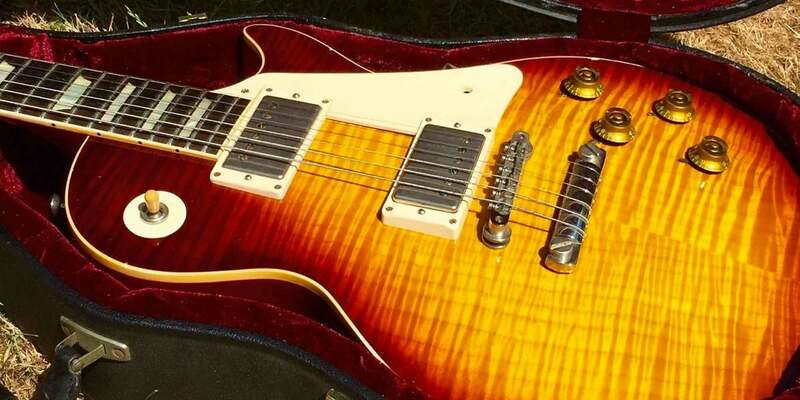 The Les Paul Deluxe differed from the original Standard in its use of mini-humbuckers instead of PAFs, and its use of the four-ply "Pancake" body style. The Les Paul Standard was not actually brought back to the Gibson catalog until 1976. Between 1972 and 1975, you could special order a Les Paul Deluxe with normal-sized humbuckers and the word "Standard" on the truss-rod cover; for all intents and purposes, these Deluxes were Les Paul Standards even if not on paper. Learn more about the Les Paul Deluxe here. Perhaps the strangest new Les Pauls brought about in this era are the Les Paul Professional, Personal, and Recording (pictured). In 1969, the Les Paul Personal and Professional launched with new low-impedance oblong pickups and onboard phase switch. The Personal was the higher-end of the two, featuring gold-plated hardware and multi-ply binding like a Les Paul Custom. Both models were replaced by the Les Paul Recording in 1971, which introduced a high/low impedance switch with internal transistor. This guitar was considered a personal favorite of Les Paul himself. 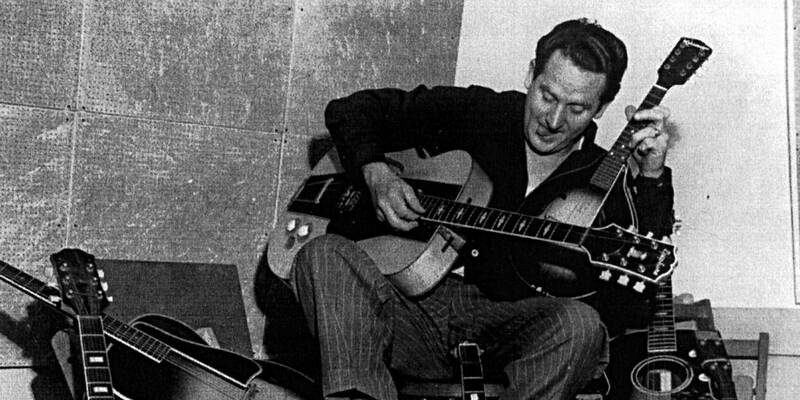 Learn more about the Les Paul Recording here. By the mid-'70s, the guitar market had dropped off from the growth of the '60s. A number of Japanese brands like Ibanez were also now producing budget-friendly import models which took a tole on Gibson sales numbers. In response to these market changes, Gibson started developing other cheaper single-cutaways as alternatives to the Les Paul including the L6-S (pictured), the Marauder, and the S-1. The Marauder and S-1 even went so far as to use a bolt-on neck as opposed to a traditional Gibson set neck joint. Learn more about these Les Paul alternatives here.